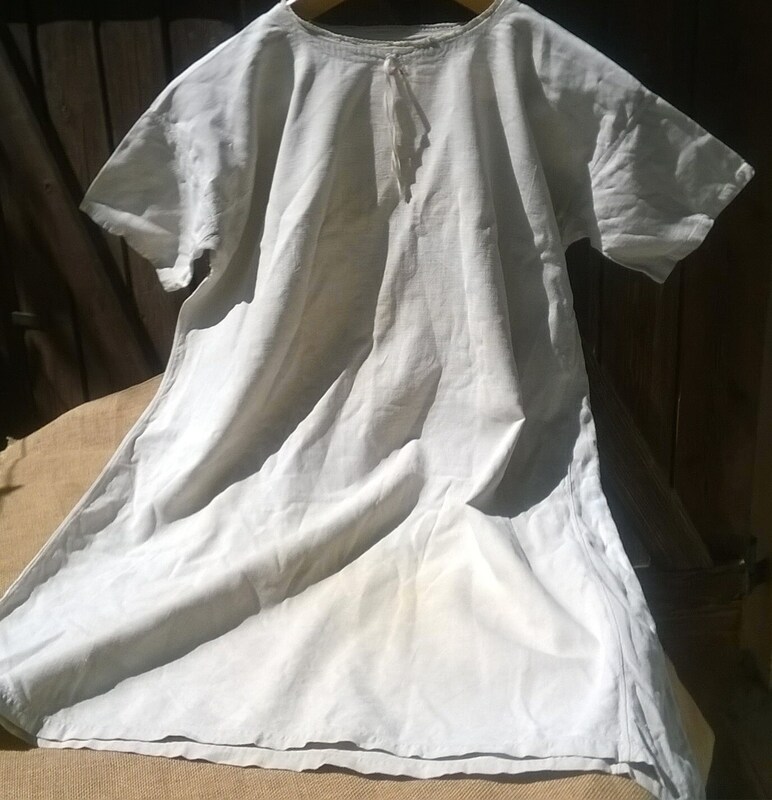 Typical Antique 19th century French country side linen gown. 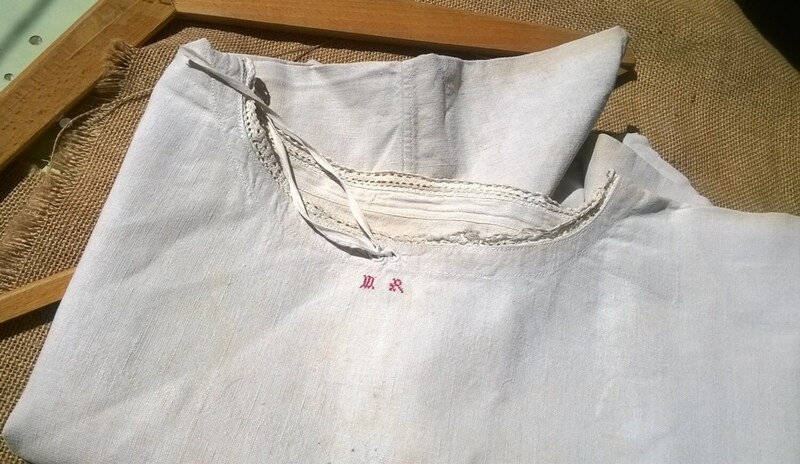 Handmade French 1850's made. 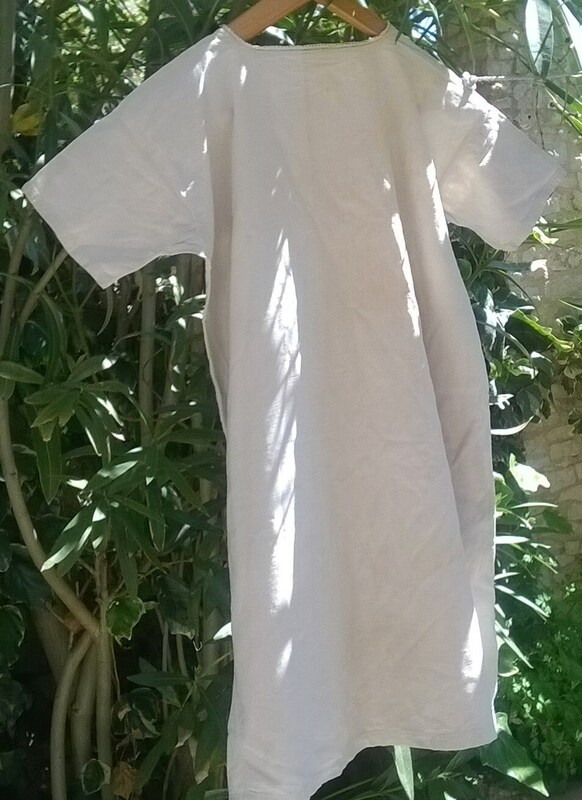 Victorian Dress Natural off white linen color. 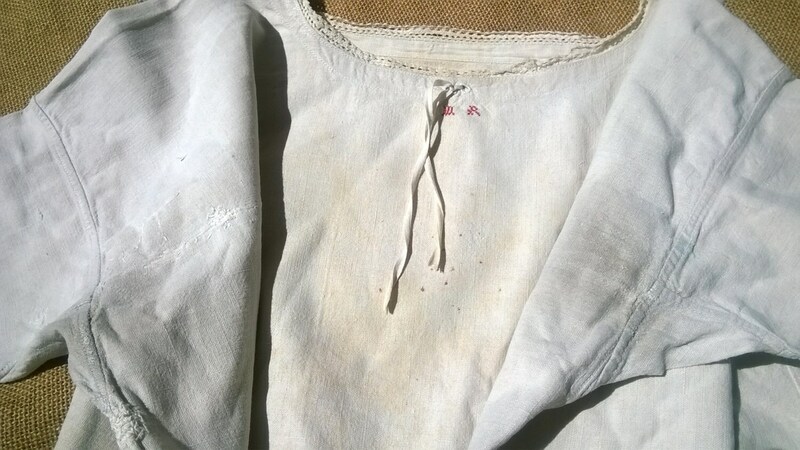 True Antique French gown from the 1850's (or before) made of natural thick linen. Red Monogram front embroidered . French made in the country side. Vintage condition rusty spots, darned under the arms and on the front right, runs under the arm. 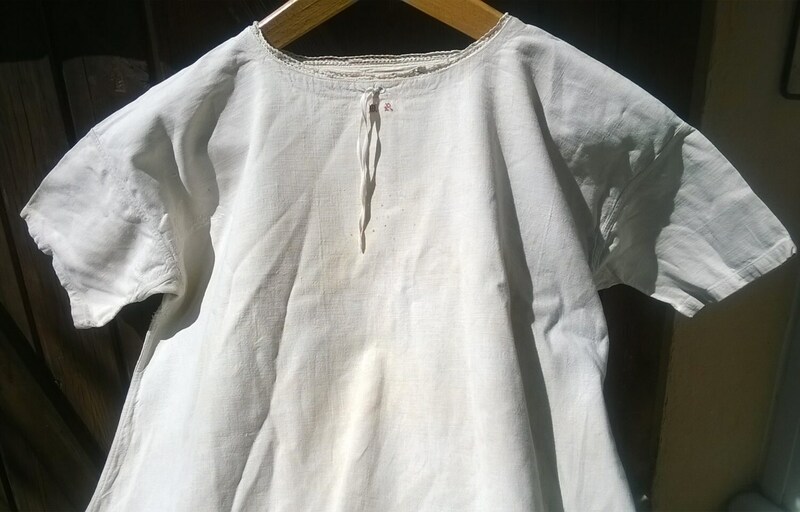 Comfortable Natural Rustic Dress to wear to keep as collectible or for Clothing Costumes !